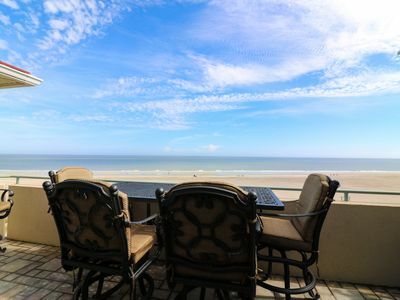 Is a Tybee luxury vacation in your plans? 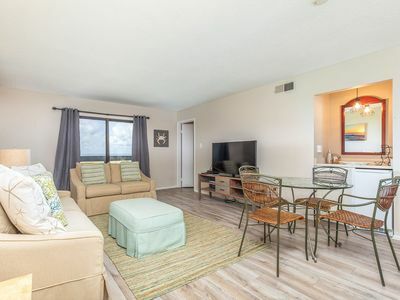 Maybe you're preparing to take a business or pleasure vacation to the Tybee Savannah area and have already seen just how many Tybee vacation rentals there are to choose from. That's where Southern Belle comes in. 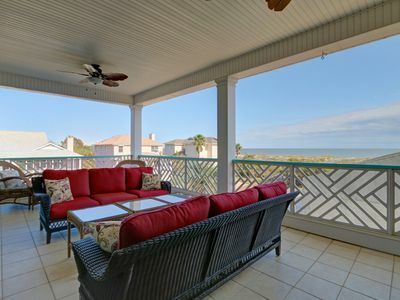 We make your choice easy with our great variety of Tybee Island vacation homes to fit any plans. 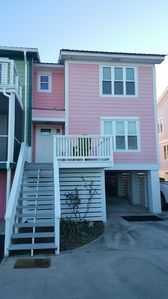 Just one of our amazing Tybee vacation rentals is the Queen Bee property. 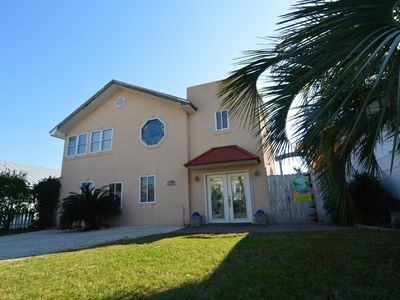 This is a classy and modern rental house that gives you the best of both worlds with an ocean view and a pool. 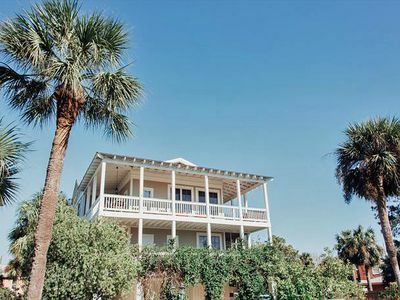 The house sleeps 16 and has six bedrooms and four bathrooms, giving you a huge amount of flexibility in the type of vacation you want. 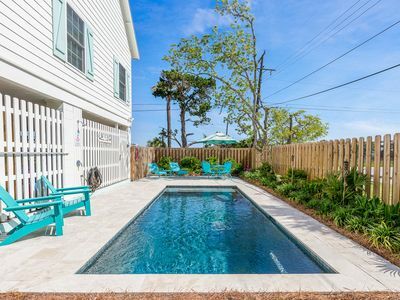 This gem among Tybee Island vacation homes also has an elevator, a two stall garage, a grill and outdoor seating to enjoy the view and ocean breeze. 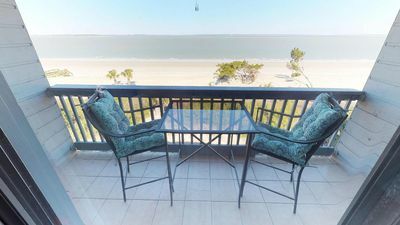 First, congratulate yourself on grabbing one of the best Tybee vacation rentals, then take your private elevator up to the top floor to marvel at the large deck and unparalleled view. 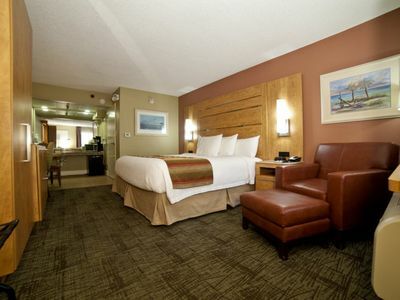 Your Tybee luxury vacation has just begun. 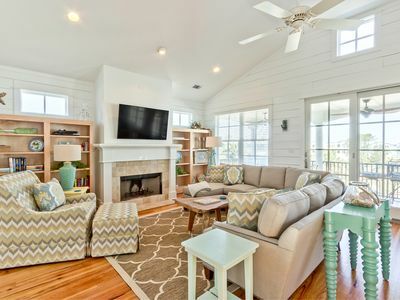 Step into the living area of this standout among Tybee Island vacation homes and enjoy all the comfortable seating, HD TV and ceiling fan for a cool breeze. Close at hand is the gourmet kitchen with bar seating for seven and a dining table for six, effectively seating 13. The kitchen is gorgeous with granite countertops, hanging Tiffany-style lamps, white cabinets, a smooth cooktop and all the appliances you could ask for. Making your way through the rest of the house, you will find plenty of seating, HD TVs throughout the home, well-appointed bedrooms. 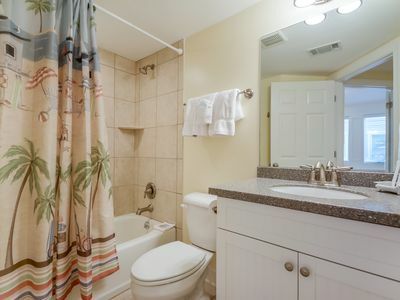 In the master, you can even enjoy a Jacuzzi tub. There will be plenty of things for you to do while on your Tybee luxury vacation. 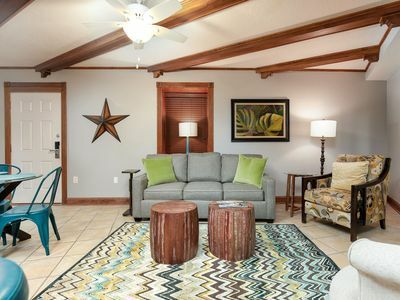 You can either relax in your comfortable accommodations, enjoy a soak in the pool, or spend a lot of time exploring all the beaches on the island. However, if you want to branch out and see the interesting places on Tybee, you can do that too! 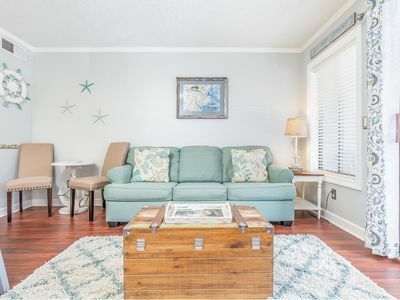 - Tybee Island Beach- 100 yards from your driveway for sunning, swimming , shell collecting, surfing, kite flying and many more. 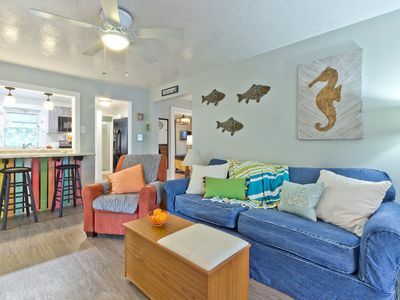 - Walking distance from some great restaurants: Sting Rays, The Breakfast Club, Sundae Cafe, and a short drive to The Crab Shack or Huc-A-Poos. - Tybee Pier: Fishing, walking and general hanging out. - Tybee backwater pier: Fishing or crabbing. Start your exploring with the Tybee Marine Science Center. Here, you can find out all about the island's diverse ecology, take a guided beach walk or a marsh trek. From there, check out the Sundial Charters and get customized trips to suit your and your party's interests. If you want to get active, you can check out the Tybee Bike Tours and explore the beaches leisurely on wheels. The Tybee Island Crab Shack gives you the flavor and dining experience of the islands, with amazing seafood samplers and famous margaritas. A visit to Tybee wouldn't be complete without checking the over 270 years old Tybee Lighthouse. 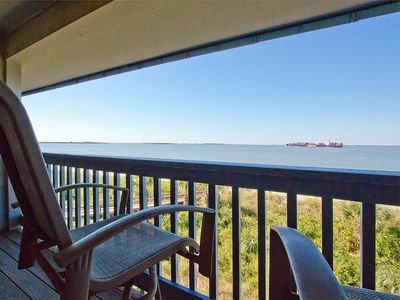 If you're staying a little longer on your Tybee luxury vacation, you won't want to miss spending at least a day in nearby Savannah. You can experience more great food, culture and interesting historical finds in old Savannah. Make sure to ask about the annual events that take place in and around the area during your stay. Don't forget to check out the First Saturday on the River festivals that take place on the first Saturday of every month, if you happen to be in the area. 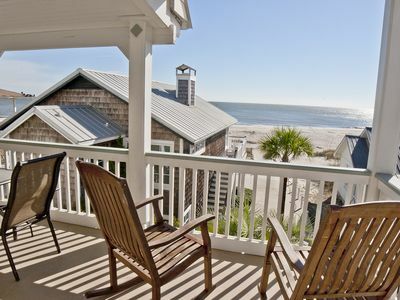 Experience Tybee Island with Oceanfront Cottage Rental's at "Paradise on Tybee". Vitamin Sea! 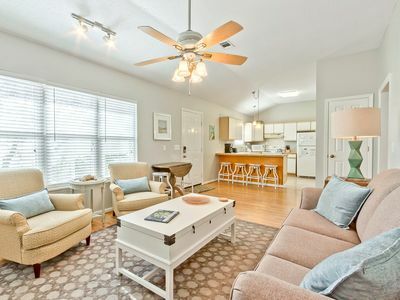 4 bedroom Back River cottage w. sleeping screened porch. Kayak! Luxury Gated Condo with Pool & Just Steps to the Beach. Fresh and Bright! 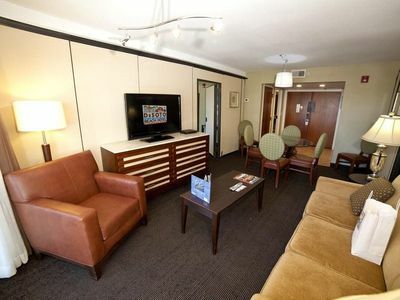 1 Bed Condo Only Steps to Beach, with Crystal Pools! A perfect Beach Getaway! New listing! 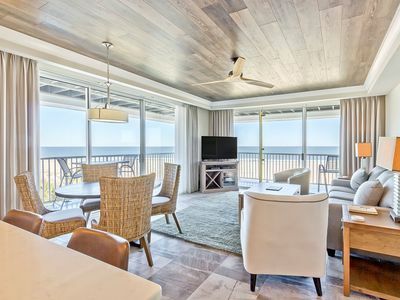 Bright, beachy condo. 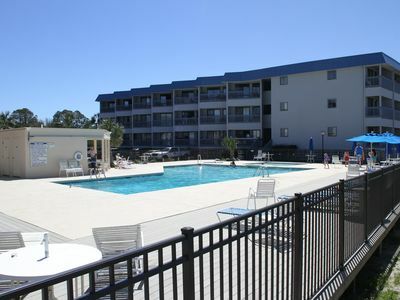 Views of the Savannah River bay and pool! 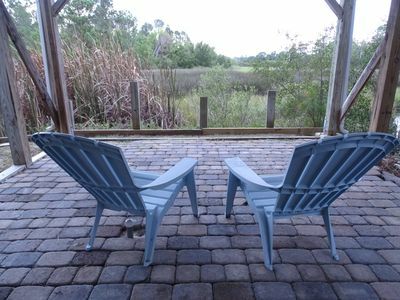 Great Location, 3 Bedroom, Pet Friendly Cottage Apartment, Only 1.5 Blocks To Beach!